More food is available in US workplaces, but is that a good thing? Most foods that are accessible in the workplace are high in calories, refined grains, added sugars, and sodium. 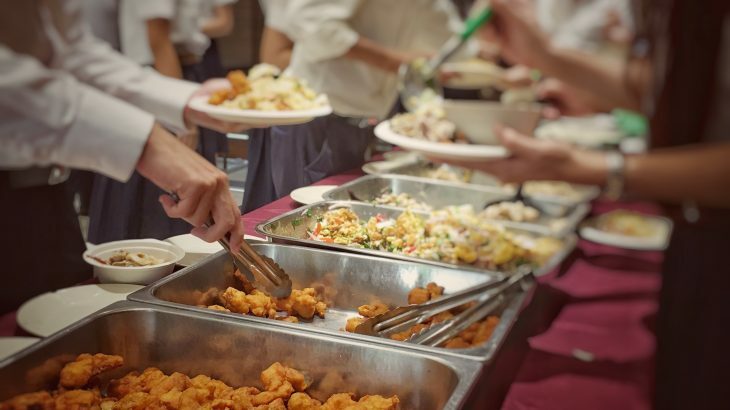 A new study from the Centers for Disease Control and Prevention (CDC) has found that around 25 percent of adults employed in the United States obtain food at work at least once per week. Based on data collected in 2012- 2013 from the Food Acquisition and Purchasing Survey (FoodAPS), CDC investigators determined that 23.4 percent of the 5,222 study participants ate food they acquired at work at least once a week. The average number of calories from workplace food was 1,292, and the products did not typically satisfy the Dietary Guidelines for Americans. Improving the nutritional quality of foods available in the workplace could help to combat obesity and low dietary quality, which are important risk factors for chronic diseases such as heart disease, type 2 diabetes, and cancer. These conditions represent seven of the top 10 leading causes of death in the U.S., as well as 84 percent of healthcare costs. In 2010, nearly 30 percent of employed adults suffered from obesity. These adults also reported lower consumption of fruits and vegetables and less frequent physical activity compared to adults with healthier weight. More than 150 million adults are employed in the United States, and worksite wellness efforts to prevent chronic disease can reach a large portion of them. These types of programs have been proven effective at changing health behaviors among employees, reducing work absence, and lowering healthcare costs. “Incorporating food service guidelines into wellness programs can help employers offer appealing and healthy options that give employees a choice,” said Dr. Onufrak.